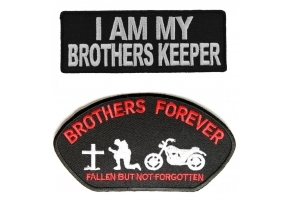 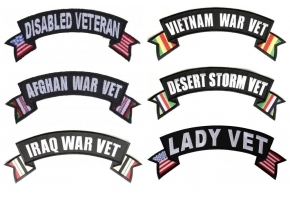 Brotherhood Biker Veteran Large Patch. 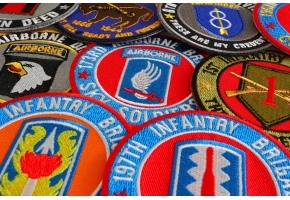 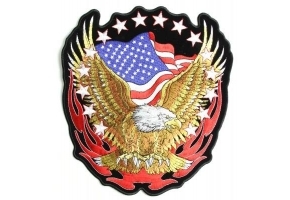 The embroidered iron on patch measures 10x11.25 inches. 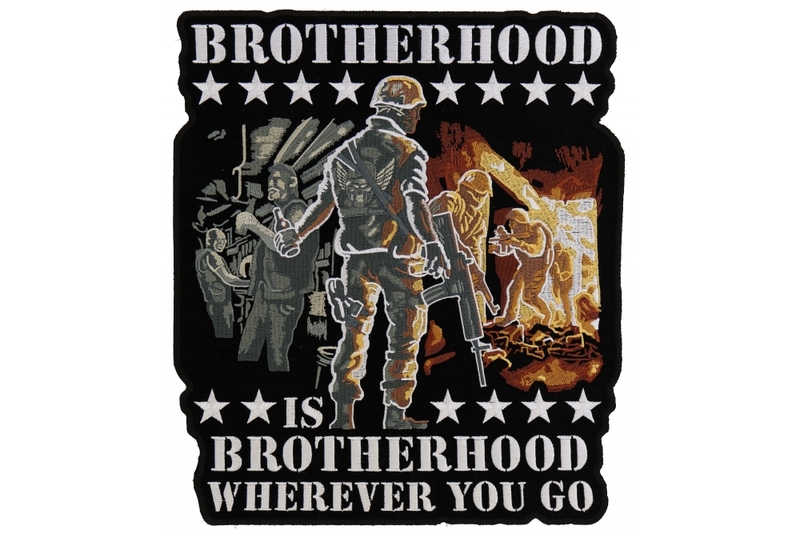 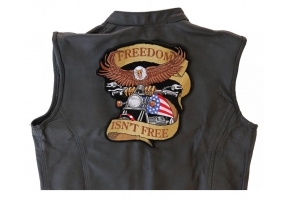 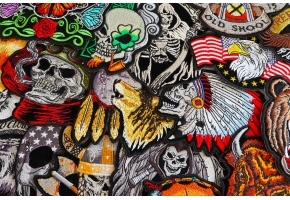 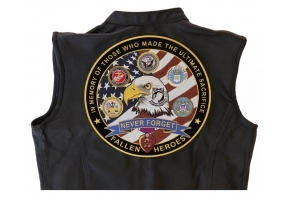 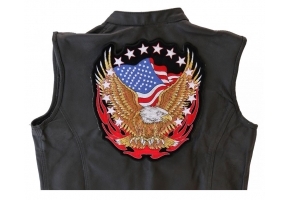 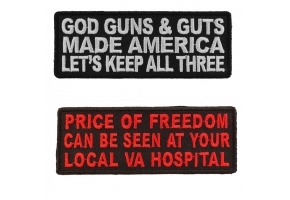 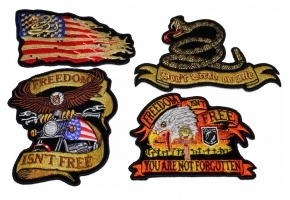 A great large back patch for Veterans and Bikers with the message Brotherhood is Brotherhood Wherever you go. 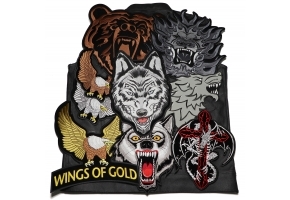 The large back patch has die cut borders so it can be sewn on the back of leather jackets or vests. 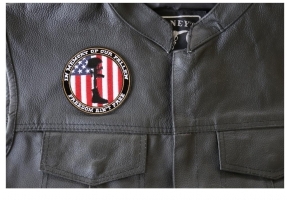 The patch also has plastic iron on backing. 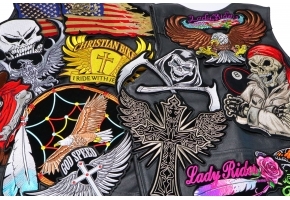 It can also be ironed on to non-leather products such as jeans, cotton shirts, non-synthetic material jackets.